The local elections are still a few weeks away for many Labour & Co-op Candidates, but Christopher Foxon has already been elected. 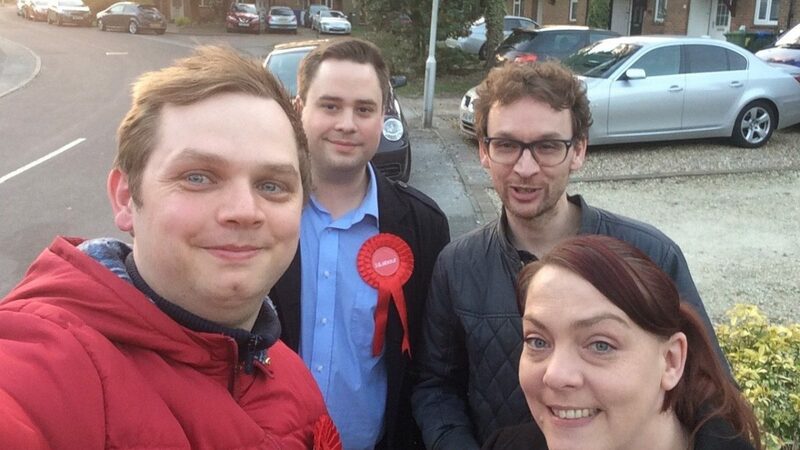 These local elections will see an increasing number of Labour & Co-operative candidates stand in every tier of local government, including two mayoral candidates with Jamie Driscoll in North Tyneside and Jenni Jones in Bedford. The largest group of candidates in the country are in North Warwickshire, where the 30-strong group of co-op candidates are hoping to take control from the Conservatives. Stevenage Borough Council has every candidate standing as Labour & Co-operative and there are notable numbers in Medway, North Hertfordshire, Runnymede, Leeds, Stoke-on-Trent, Charnwood, Gedling and Milton Keynes. Many of these councils are taking forward co-operative ideas into their manifestos, from breakfast clubs that tackle food justice in North Warwickshire to introducing a publicly-run, not-for-profit bus operator in Medway that meets the needs of passengers. You can read more about our ideas for local government here. But the election has come early for Christopher Foxon who was elected to the Forest Park Ward for Winkfield Parish Council in Bracknell unopposed. He becomes the first Labour & Co-operative Councillor to be elected but we hope to see many more on 2nd May. All the best to our 100s of Labour & Co-operative Candidates in the local elections!